Everything you need for a healthy brain and heart and healthier, pain free joints. 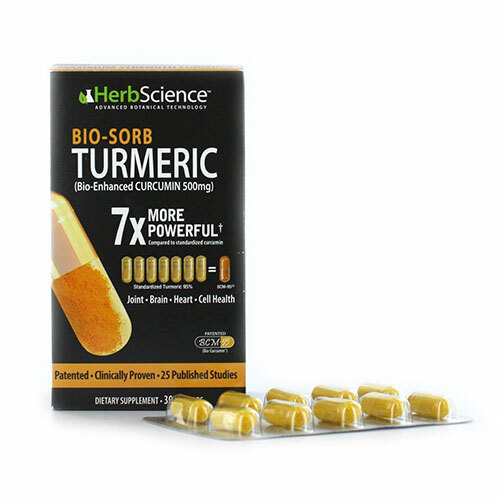 Herbscience Turmeric x7 provides the best way of getting all the health benefits discovered for this amazing natural spice which was previously only found in the kitchen cupboards. Now it has found it’s way to the medicine cupboard! Turmeric is a powerful medicinal plant belonging to the same family as ginger. Most people will know turmeric as a powdered spice added to recipes to boost their flavour, colour and nutritional value. Curcumin is the active compound which makes turmeric such a powerful supplement. Research into turmeric and curcumin has been extensive and seen it move from the spice rack to the medicine cupboard. Repeatedly turmeric has been shown to have significant health benefits; but it is hard to gain noticeable health benefits from turmeric supplements as they are poorly absorbed into the blood stream. 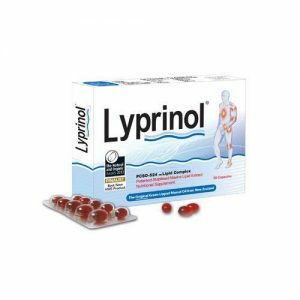 This prevents it getting around your body and doing you any good. The only solution has been to take large quantities of high dosage supplements; which can be inconvenient and expensive. Herbscience Tumeric uses a patented extract made only from organic turmeric plants; with the curcumin being extracted using a process increasing its purity and potency. Herbscience Tumeric is a supplement readily absorbed into your bloodstream, where it can be carried around your entire body to boost your health wherever it is needed. Take one capsule of Herbscience Tumeric up to 3 times daily as a dietary supplement or as directed by a healthcare professional.